Lovibond’s water testing training is available across the UK. Lovibond Tintometer is continuing its tour of the UK, delivering expert led water analysis training courses for those involved pool and spa water testing. Most recently, specialist training sessions took place for pool companies in Uckfield, East Sussex and Worcester. As experts in the field, Lovibond Tintometer offers bespoke training courses, tailored to the individual requirements of each company or venue. 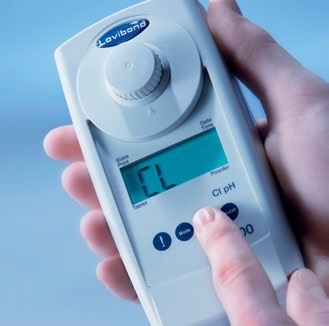 “To ensure that pool and spa water testing is carried out correctly and with accurate results, it is essential that your team is trained appropriately,” explains Colin Day FISPE, Sales Manager at Lovibond Tintometer. “Not only with the testing but also on the recording and reacting to the results,” he adds. The courses, which are suitable for anyone involved in pool or spa water testing, include taking the sample; good practice in testing; what we test for and why; testing equipment and correct usage and an overview of balanced water. There’s also a hands-on practical session where candidates can test samples of their own pool water.